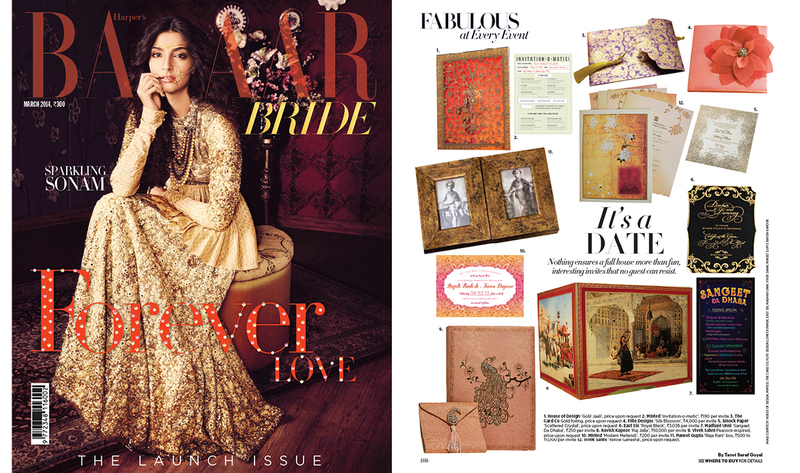 Featured in the launch issue of Harper's Bazaar Bride: India! Nothing ensures a full house more than fun, interesting invites that no guest can resist. Features Jennifer & James‘ Invitation Suite design!